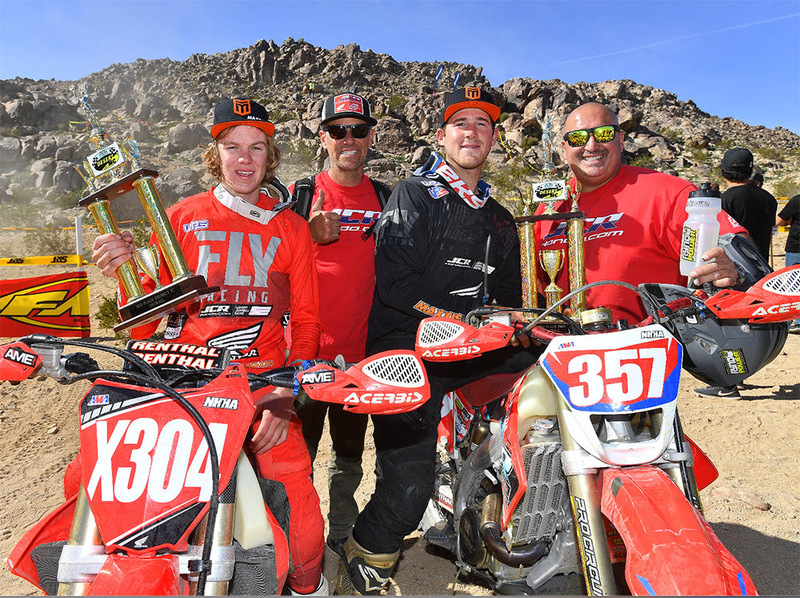 Round #1 of the hotly contested AMA NHHA series was hosted by the Desert MC’s in Johnson Valley OHV, Lucerne Valley, California. A solid turnout for the first NHHA round of the season. Approximately 300 big bikes, 75 youth entries along with a live audience of 1100. Fans, friends, and families enjoyed 70-degree weather and great racing. The DMC club laid out 2- challenging 40-mile loops. Starting eastbound away from Bessemer Mine Road, was high speed, wide-open choppy terrain all the way to Means dry lake, around the “Hammers” area before heading back west toward the pits. The riders encountered various terrain, whoops, sand dunes and lots of high-speed 5th gear wide open sections! The lead riders made their way through the pits 50 minutes into the race. Loop 2- traveled westbound, through more technical terrain, sending riders across virgin rocky trails, with the leaders completing the final 40-mile loop in just over an hour and fifteen minutes. 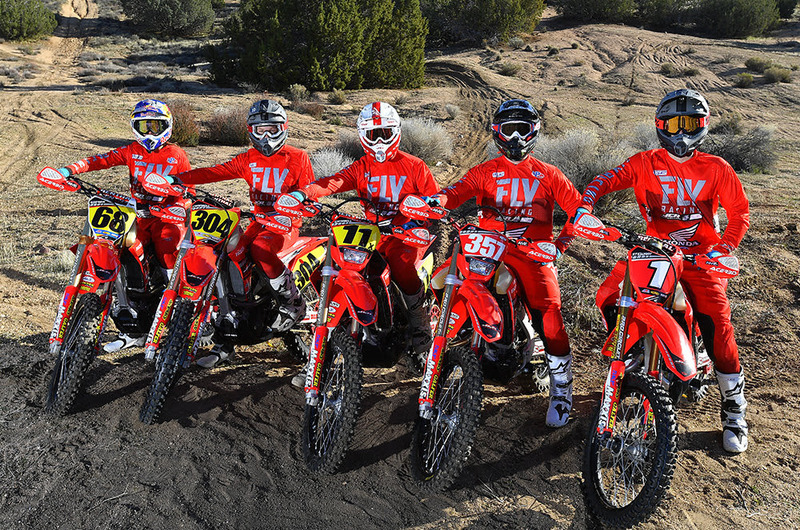 JCR/Honda’s Ricky Brabec, fresh off the boat from the Dakar Rally, traded in his HRC CRF450Rally for a JCR CRF450X, blasted to a 3rd place start at the end of the “bomb-run” as he acclimated to the lighter machine. Through the pits after the 1st loop, it was JCR/Honda Pit support rider Kendall Norman who led the way, with a 20-second advantage over Ricky Brabec. The JCR crew had quick pits with fresh goggles and VP racing fuel thanks to IMS refueling cans. Preston Campbell, came through the pits, battling for the Pro 250 podium on his CRF250RX shortly their after. The technical final loop shook up the race order. The racers came through after a long, rock infested sprint to the finish. Ricky Brabec fought hard throughout and found himself a solid 2nd overall for the day after the 80-mile event. Preston Campbell also had a good ride, finding his way to the podium in the Pro 250 division. Kendall, unfortunately, had a mishap with a large rock, derailing his chain. KN regrouped to finish 8th overall.